I used to think that I was busy during the holiday season. I used to think that my holiday schedule was demanding – dealing with one hundred and fifty families for a Christmas Program I helped organize. 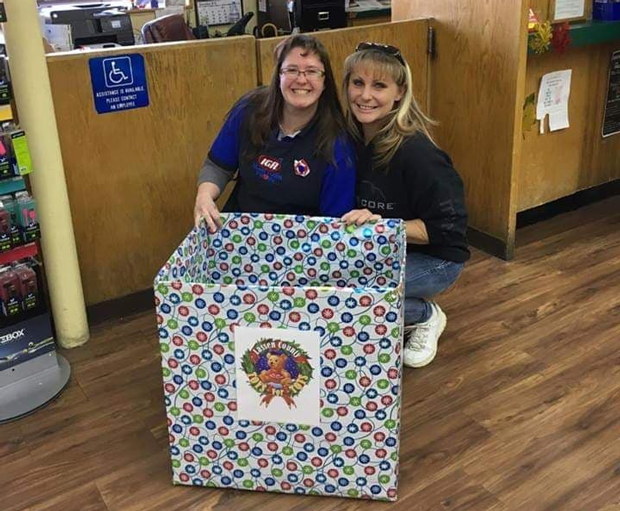 Then I met Terrie Ginder from the Lassen County Toys for Tots, and the other hearts behind her program, and saw what true hustling and bustling was. Terrie, much like the women over at the Salvation Army, entered my life via our holiday programs. 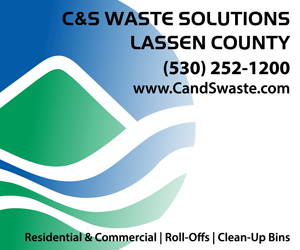 We all meet several times a year to help coordinate our efforts to best serve the community. She is probably going to kill me for posting this picture but I couldn’t help but think, this photograph is symbolic of Terrie. Right before I snapped this photo she was mid-sentence telling me about the protocols for dropping off toy collection bins when her phone rang. “Terrie from Toys For Tots,” she answered cheerfully. 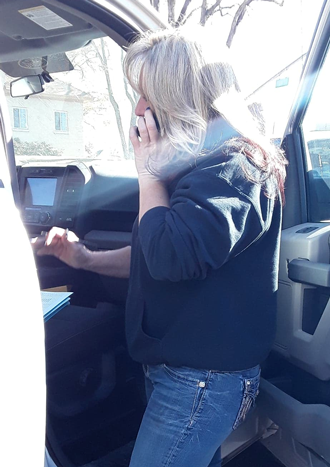 She spoke with an unknown mother on the phone for several minutes as she continued to hand out bins and shuffle around paperwork to other volunteers. Terrie jotted down a note, thanked the parent, hung up the phone and then seamlessly picked up with her instructions to me. I think she thought I was confused or upset that she had answered the phone. She quickly explained that the phone call was from a participating family whose mother wanted Terrie to know that although her son was older, he had a learning delay which would mean he would like/need a special gift. I told Terrie that I wasn’t upset she had answered the phone, just that I was in awe of her. She smiled. She said that her Toys for Tots phone rings constantly this time of year and she wants to make sure that if a child needs something special, they get it. 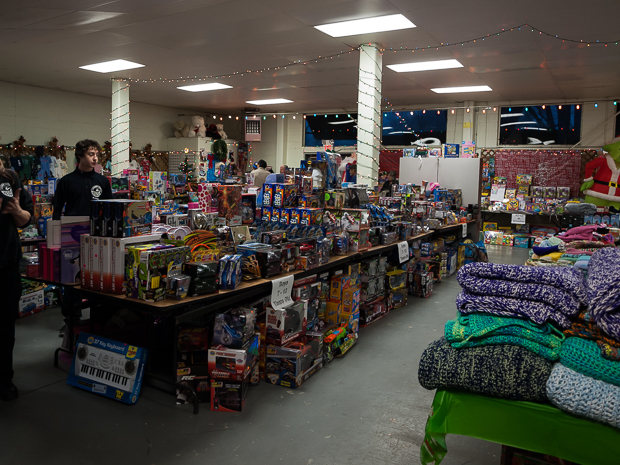 The Lassen County Toys for Tots program is planning on serving 750 kids this year. 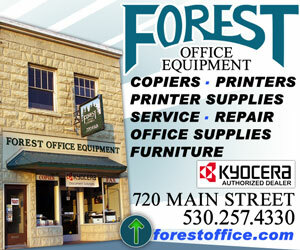 To put that in perspective, Lassen High School has approximately 800 students. This one program serves a very large percentage of our community’s kids, and it does it year after year, all run by volunteers. Let me say that again. This program – this huge task – runs off of the good work of volunteers. Last year Terrie had a family emergency which required her to drive back and forth from Sacramento to make the program work, and she did. Never complaining. You can’t fake that sort of unselfishness and although many try, I don’t think you can ever replicate it either. 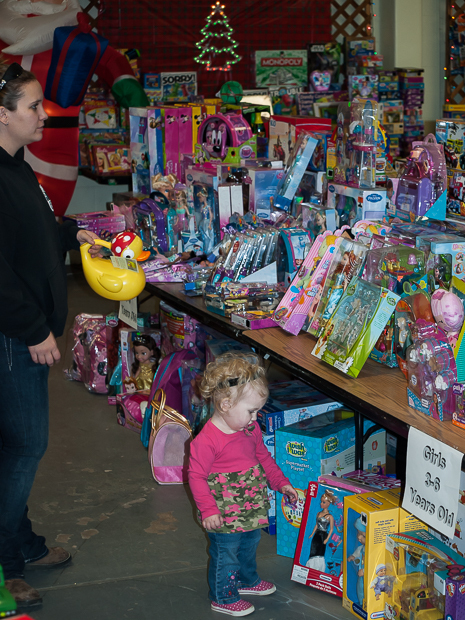 Toys for Tots is unique in the fact that it turns the fairgrounds into a magical Toyland for parents to go ‘shopping’ for their own kids. It’s pretty impressive. The team spends weeks sorting the toys that were donated by age, and category, so that a mother or father of a toddler knows which area of Toyland to go to. As a parent there is something inherently rewarding being able to pick your child’s Christmas presents and many parents don’t have the luxury of choosing gifts for their kids. Given the choice between food or presents, necessity always wins out. 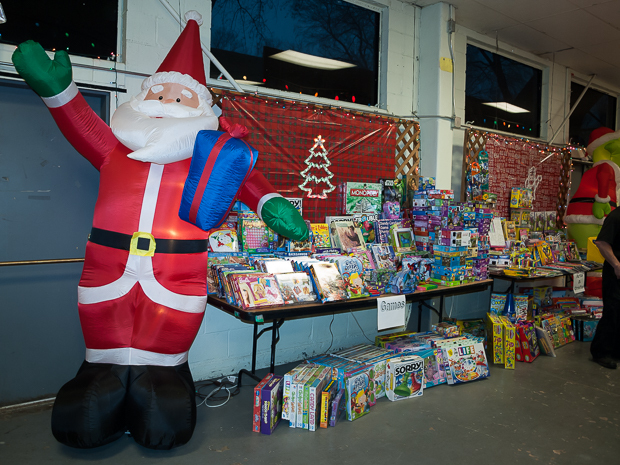 With the help of Toys for Tots, these parents can still provide their children with gifts to be wrapped and placed under the tree for Christmas morning. By donating to this program, not only are you helping give kids a joyful Christmas morning, but also are helping give their parents, grandparents, guardians some sort of Christmas too. The joy of being able to wrap a gift for your child that you picked out for them. Terrie always jokes that her kids always got a delayed Christmas, because she, and they, were helping the program. However, it’s really not a joke. She puts the needs of hundreds of families in front of her own, teaching her kids and now grandkids what true service over self looks like. In speaking with Terrie, she will always mention her father, Robert Trussell and says that he watches over the program ensuring its success. 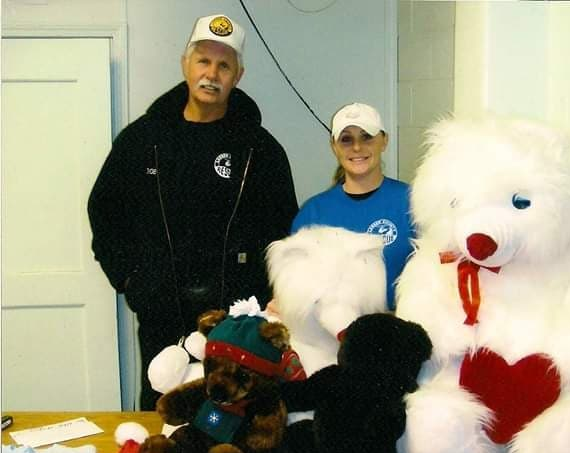 From her stories, or from anyone that knew her dad, it’s obvious she got her love of Christmas and helping others from the iconic man. Terrie, I know you make him proud. Those beautiful light display at the fairgrounds, which have since become a very much loved Christmas tradition for my family and I’m sure hundreds of others. That’s the work of Terrie’s troops too. 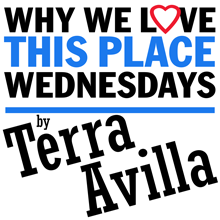 She is a mover and a shaker and Lassen County, as well as hundreds of Lassen County Kids, are so lucky to have her. Please put it in your heart to donate a toy or money to this program. Without it, I’m afraid many children will miss out on the magic of Christmas.